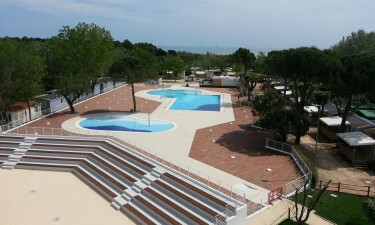 Villaggio Turistico Albatros is a prominent luxury camping site that can be found right on the Adriatic Coast in Italy, within easy driving distance of the cities of Trieste, Gorizia and Palmanova. Each mobile home here boasts modern conveniences for all the family, and plenty of space, while the onsite facilities are second to none. Why Should I camp at Villaggio Turistico Albatros? 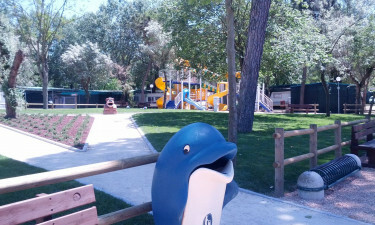 We know Villaggio Turistico Albatros! Nature lovers will really be in their element at Villaggio Turistico Albatros, as a large nature reserve can be found less than 3 miles away. One of the great things about this first rate LuxCamp is that dogs are allowed on the site, which means that the whole family can enjoy their holiday together. Large water park on the site. Those who choose to stay at Villaggio Turistico Albatros will be treated to access to a private beach where they can lie back and soak up the sun. Lovers of luxury camping will also find a water park right on the site itself, which boasts an Olympic-sized pool as well as a children’s pool and a diving pool, while special sporting events are also regularly held here for guests to enjoy. No camping holiday would be complete without taking the time to sample Italian cuisine, and Villaggio Turistico Albatros boasts a restaurant that serves a range of classic Italian dishes. The restaurant also provides guests with recipes with which they can create dishes in their mobile homes, using local produce sold in the on-site shop.